Make science make sense & reserve your field trip today! Call 828.684.3192 or Book Online! High Touch High Tech of GSP delivers either 60-minute or 90-minute in-school science field trips that will transform your classroom into a Living Laboratory! Elementary students in grades K-6 can roll up their sleeves to become REAL scientists performing REAL experiments! High Touch High Tech scientists provide a high quality, educational experience for your entire classroom. All of our scientists are highly trained professionals that possess a passion for science & education. 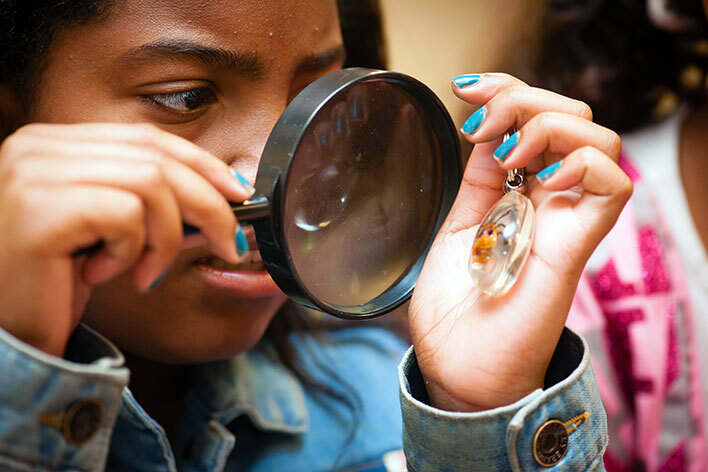 Our interactive field trips encourage students to reach their full potential by allowing them to make direct observations and to participate in thought-provoking science. All of our programs are centered on the individual child's experience. ALL programs provide make-and-take experiments. "Awesome Program! The kids (and teachers) loved it!!" The following programs demonstrate how the contributions of scientists have made a major impact on society. Discover the effects of global warming! Have FUN as we explore clean and renewable energy. Join us as we honor the contributions of women in science. Step into the world of really cool inventors, including: Avogadro, Gertrude Elian, and Walter Frederick to name a few! Join us on a fun filled adventure as we discover several very famous African American scientists and learn about their incredible contributions to science! All programs are adaptable for any grade level. Grades listed correspond to SC Academic Standards. Have FUN as we make sense out of our senses. Explore and experiment with our 5 senses, 1 sense at a time. Discover how much we rely on our senses. Prepare to be amazed as we dig deep & get the full scoop on soil! Get the "dirt" on Earth's underground layers & discover the only rainbow that can form without light! We'll go on a gem panning expedition & uncover Earth's hidden treasures of real gems, rocks & minerals! Students transform into mini-geologists as they sort, test & investigate all that they find. Everything you find...you keep! When it comes to science, sometimes there's a change in plans! Have FUN as we investigate the life cycle & witness some of Mother Nature's coolest magic acts via metamorphosis. From birth to adult, these animals prove that growing up is FUN to do! Discover some cool characteristics that parents pass down to their offspring in our Here We Grow matching game, build your own edible cocoon, watch DNA come to life in 3-D & more! This supply intensive, educational experience includes all equipment and materials needed to turn your classroom into a real science laboratory! We use materials that are concrete, safe and relevant to the everyday lives for children of all ages. Upon completion of the field trip, students will receive a cool science certificate and ALL programs provide make-and-take experiments. Teachers and Parent Chaperons are welcome to participate free of charge. Program fees are usually paid by Parents, PTA/PTO or Grant Dollars. Q: Can teachers step out of the classroom while the Scientist is facilitating the program? A: Teachers are requested to remain in the classroom throughout the program. 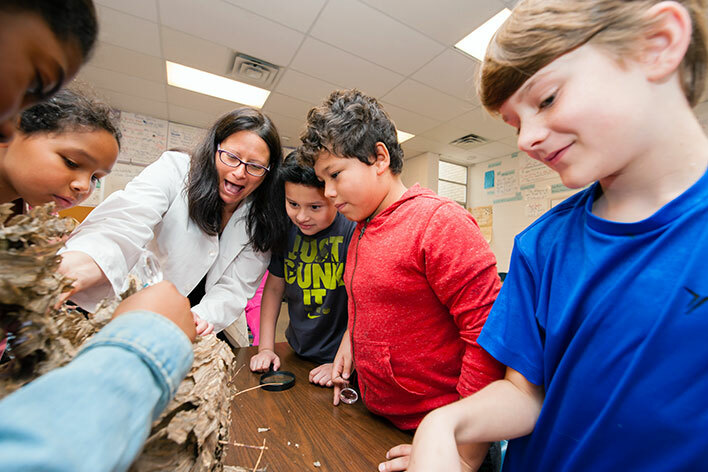 We encourage teachers to participate and rely on their feedback to assist in our efforts to continuously improve upon our FUN and exciting hands on science experiences. Q: How should I set up my classroom in preparation for the Scientist? A: Our Scientist and your students will need either desk tops or table tops at which to conduct their hands-on science experiments. We also ask that you have a Chalkboard or Dry Erase board available for use by our Scientist. Note that some programs may require access to water; therefore, access to a sink and tap would also be helpful. Q: Can I pay for a HTHT in-school field trip with grant dollars that have been awarded to my school? A: Yes. 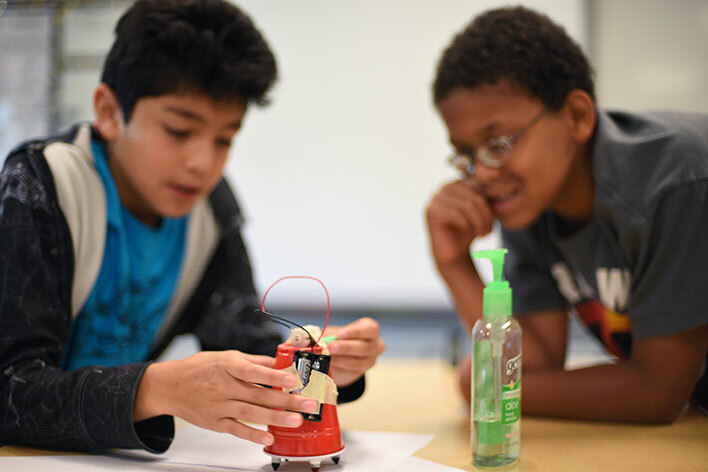 Many schools pay for their High Touch High Tech programs with grant dollars received via the 21st Century Grant, Eisenhower Grant and several Local & State Grants. Contact our office or complete our on-line reservation form to book your High Touch High Tech hands-on science experience today! We Look Forward To Visiting Your Classroom Soon!